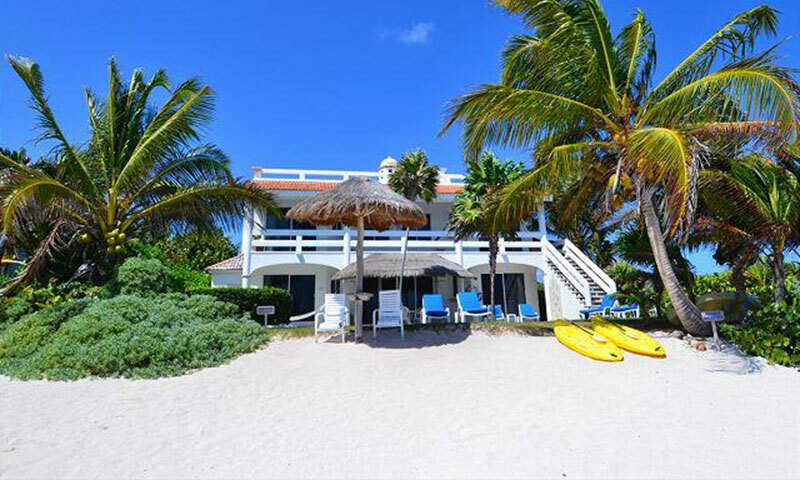 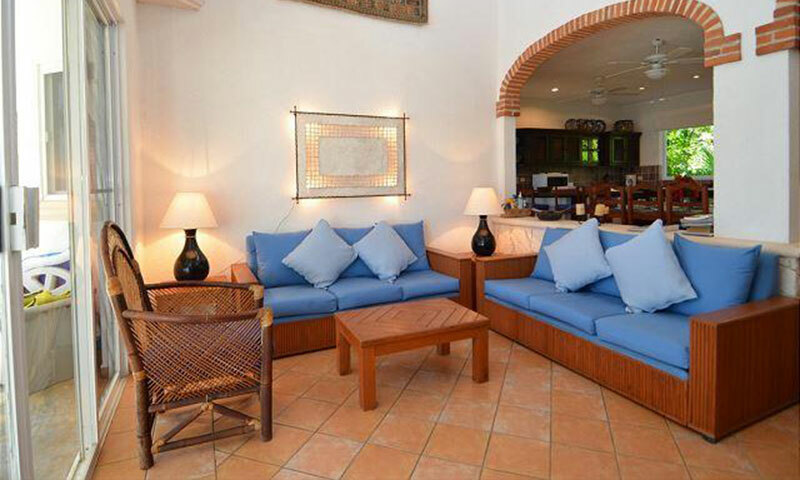 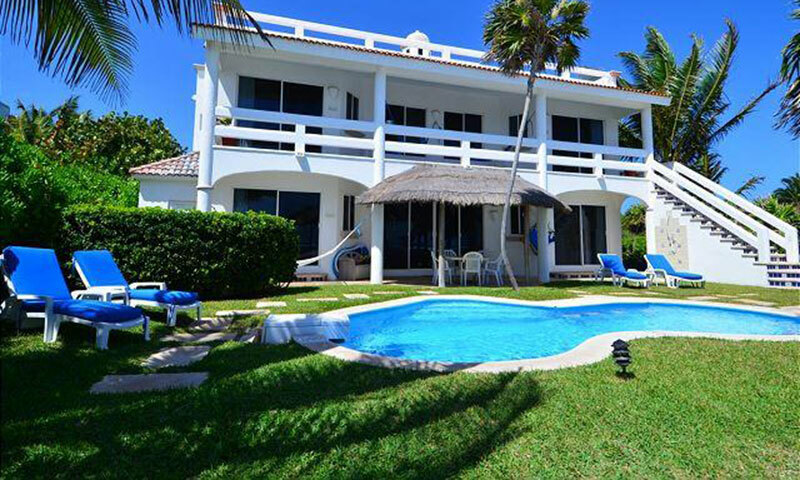 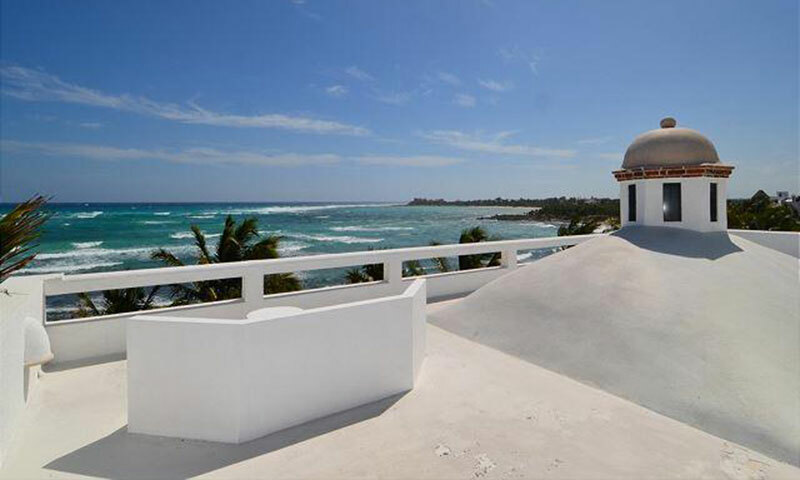 Villa Palmeras has approximately 3,500 square feet of living space with four bedrooms of equal size, each with its own bathroom and fabulous view of the Caribbean. 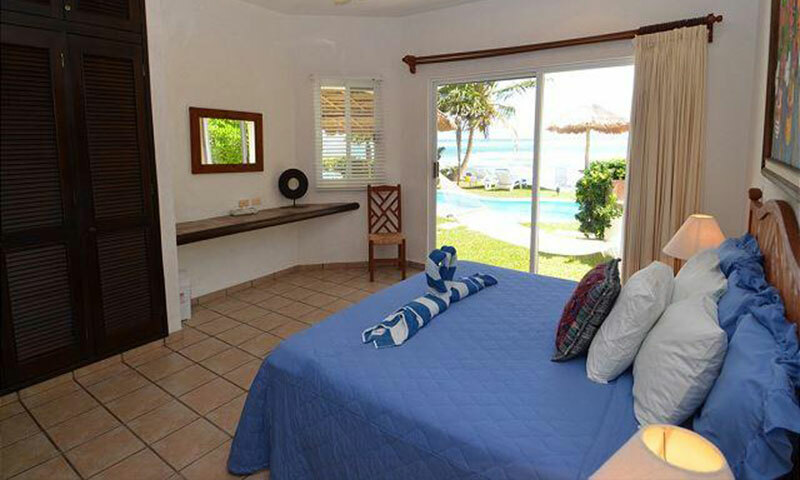 No one will have to fight over who gets the best bedroom in this villa, everyone gets a master bedroom! 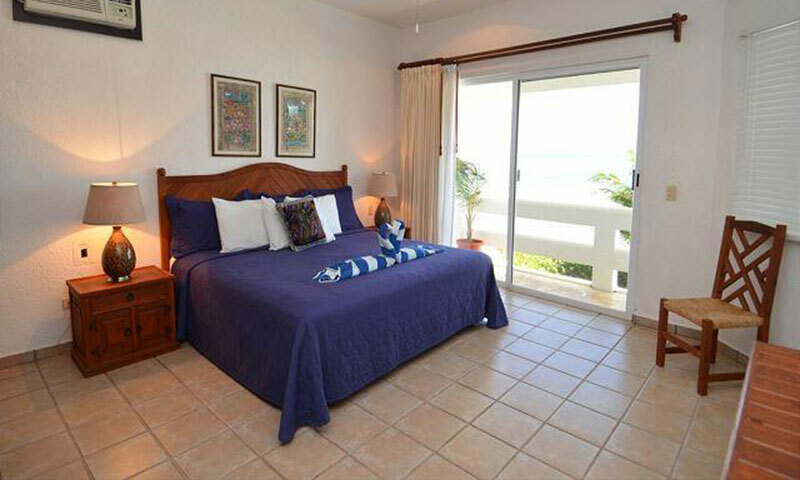 Three of the bedrooms have king-size beds and the fourth has a queen and a twin bed. 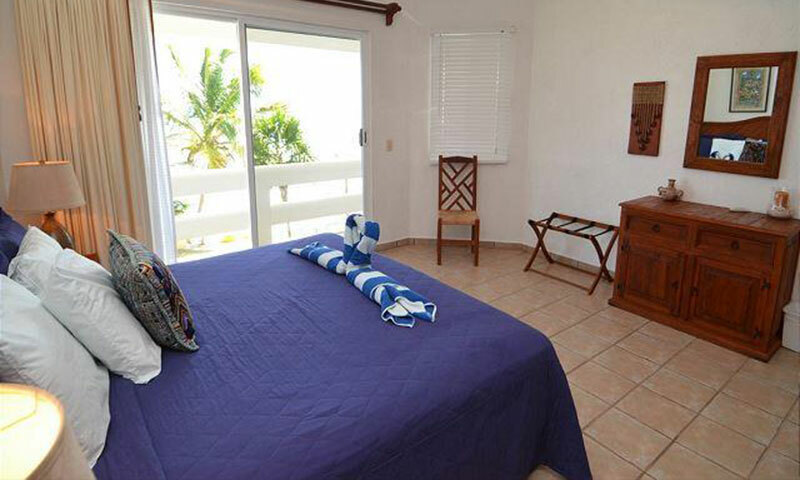 Two bedrooms are located on the first floor and two others are on the second floor. 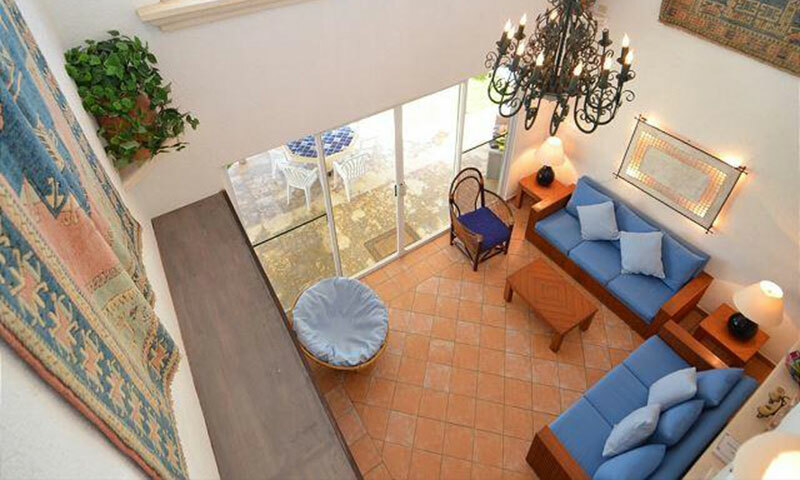 There is also an upstairs patio with wet bar. 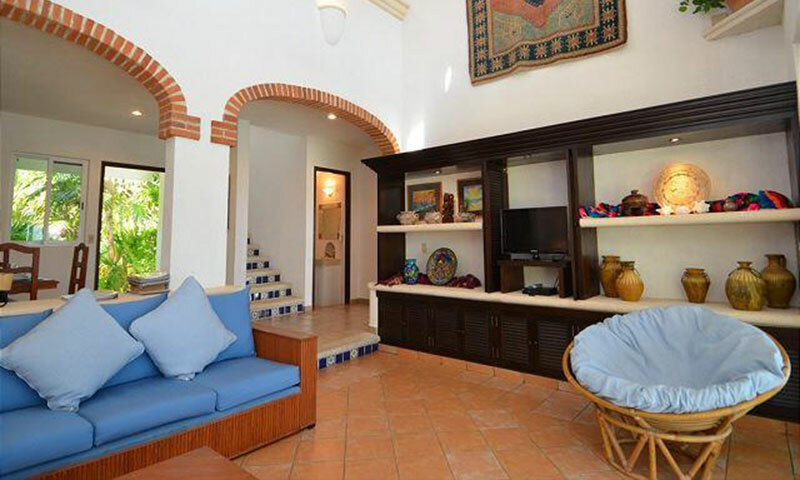 The living room is on the first floor and has a high domed brick ceiling that's just beautiful. 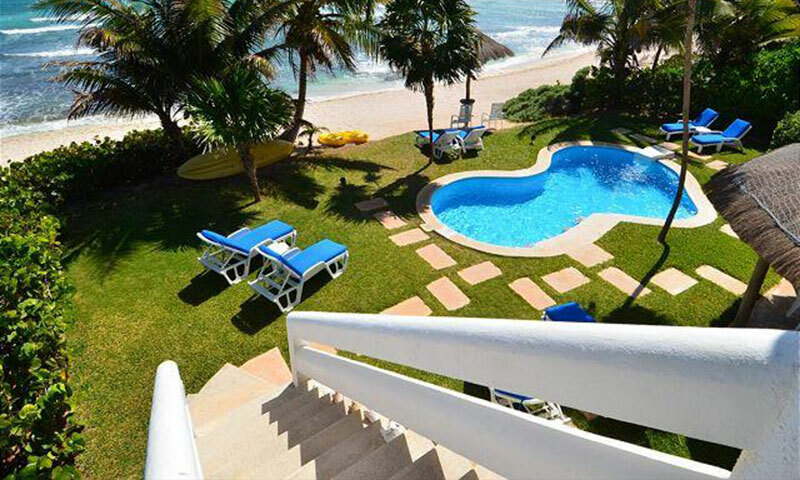 It faces the ocean and pool area - what a view! 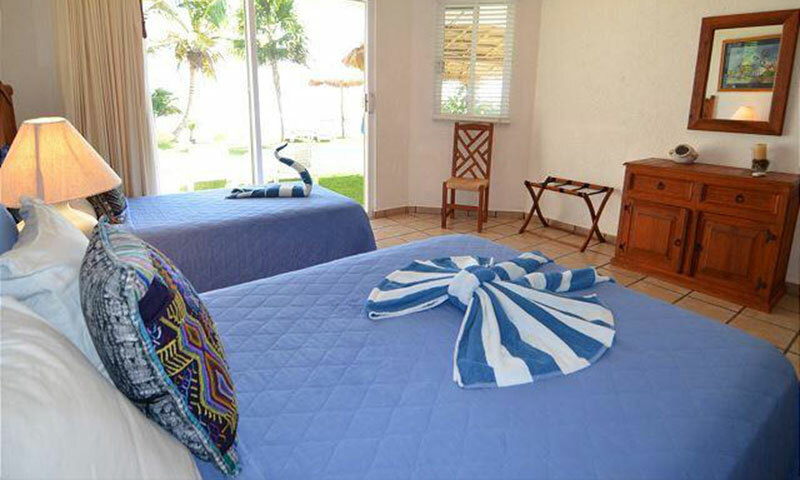 The furnishings are really special too - great carved Mexican furniture and gorgeous fabrics. 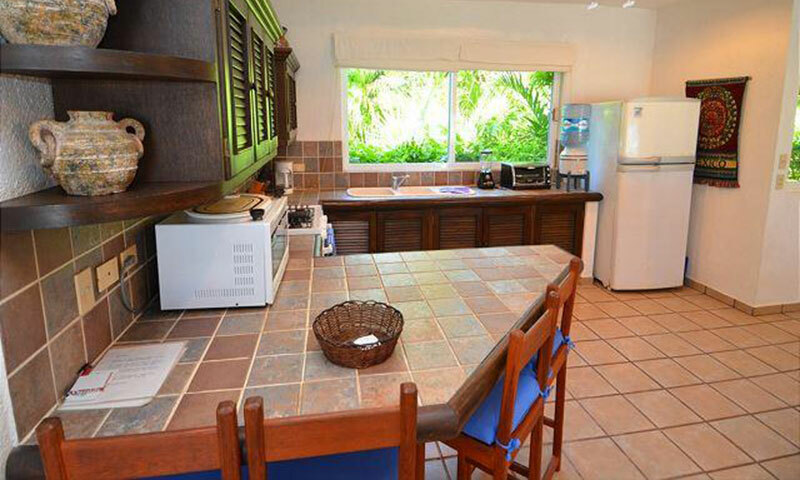 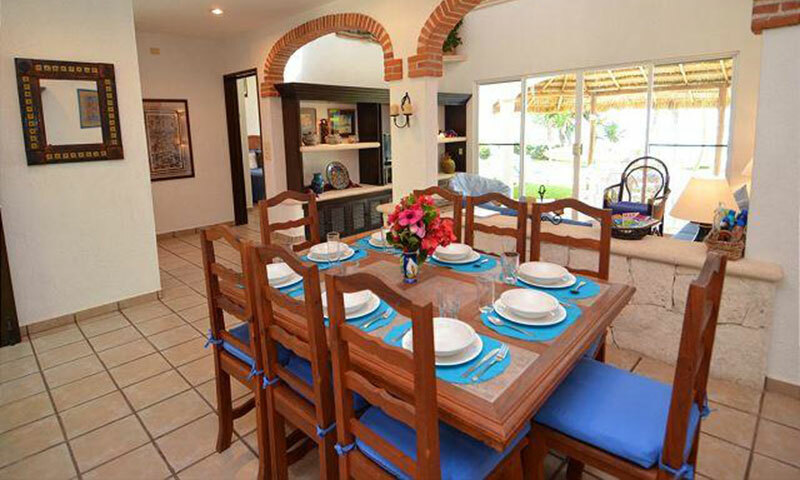 The villa's kitchen is fully equipped if you decide you want to do a little cooking and a great place to eat lunch is out around the pool. 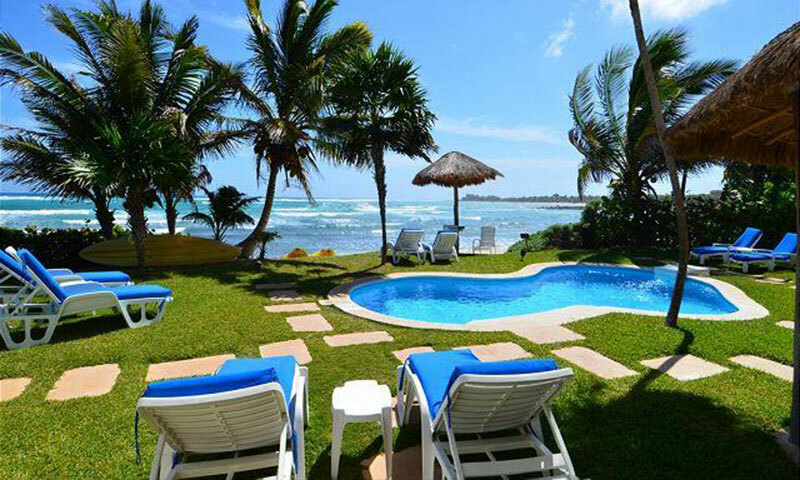 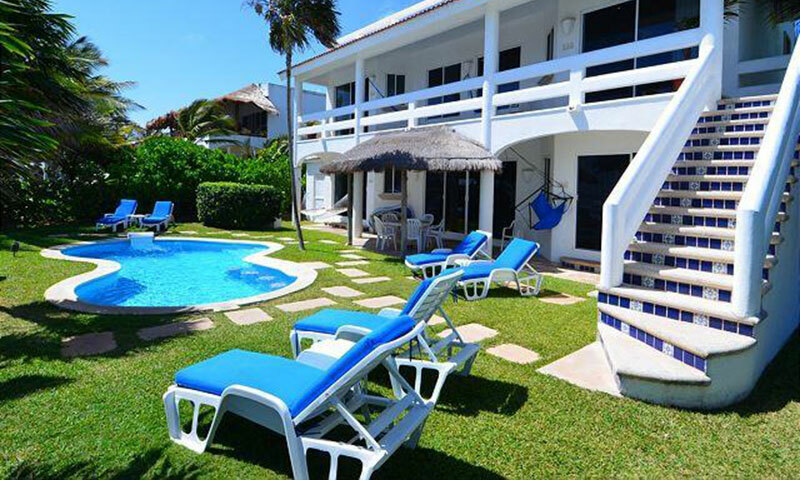 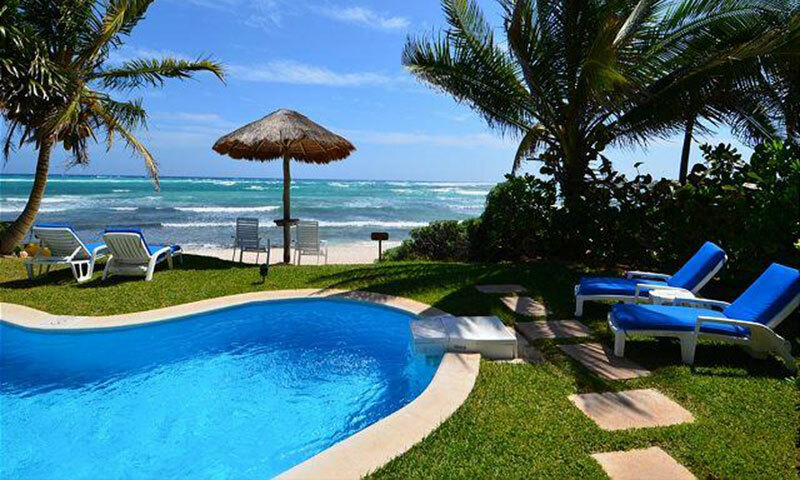 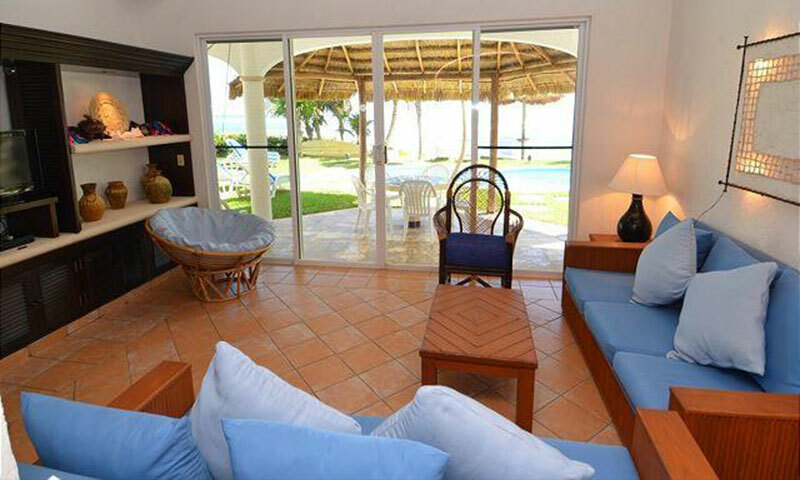 Just try to imagine yourself sitting beside the pool, looking at the ocean, enjoying the breeze. 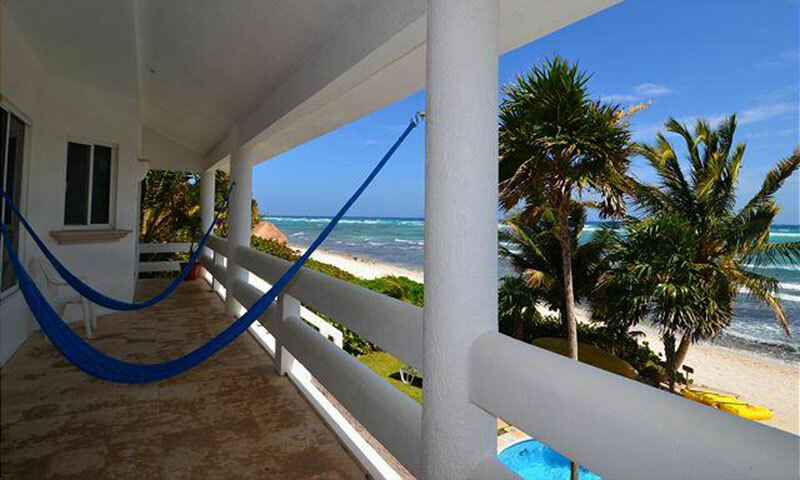 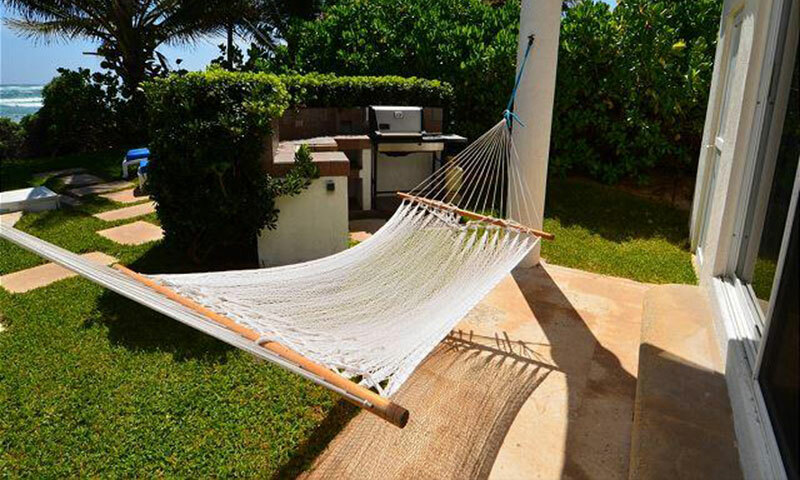 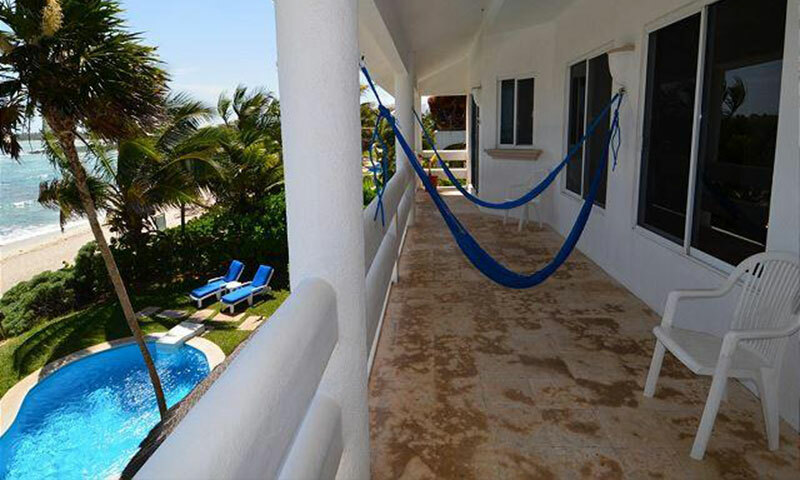 You might even try a swing in the hammocks! 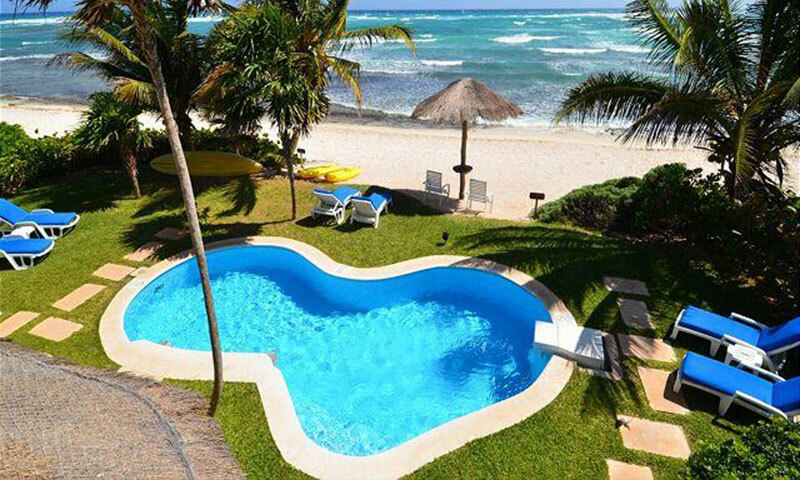 You know you're in heaven when you have the option of swimming in an aquamarine ocean or jumping in your private swimming pool! 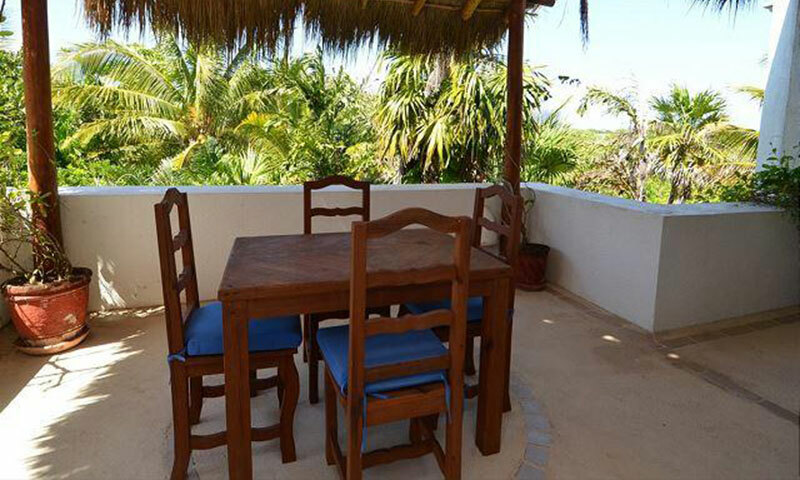 As though this weren't already enough, there's a rooftop observation area on the third level offering spectacular views of the jungle on one side and the ocean on the other. 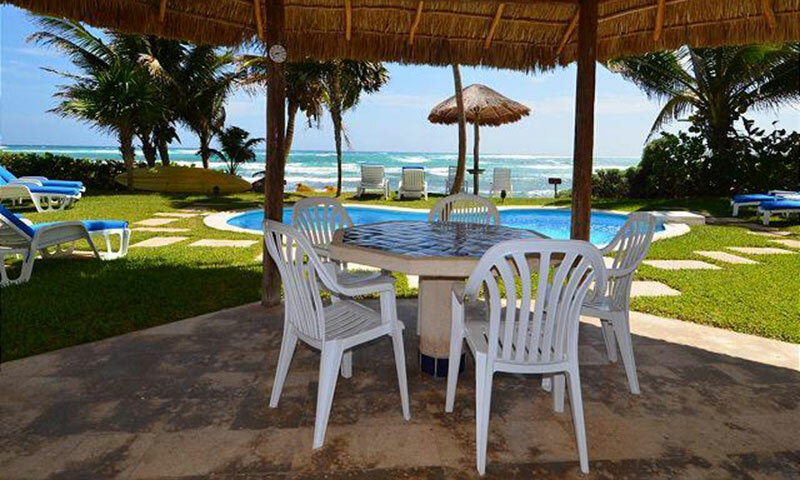 This is a great spot to gaze at the stars, or watch a sunrise, or have cocktails while catching a sunset. 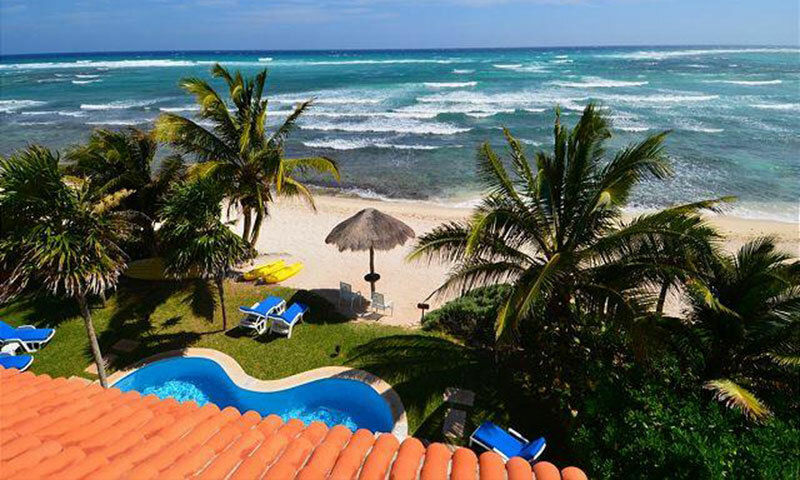 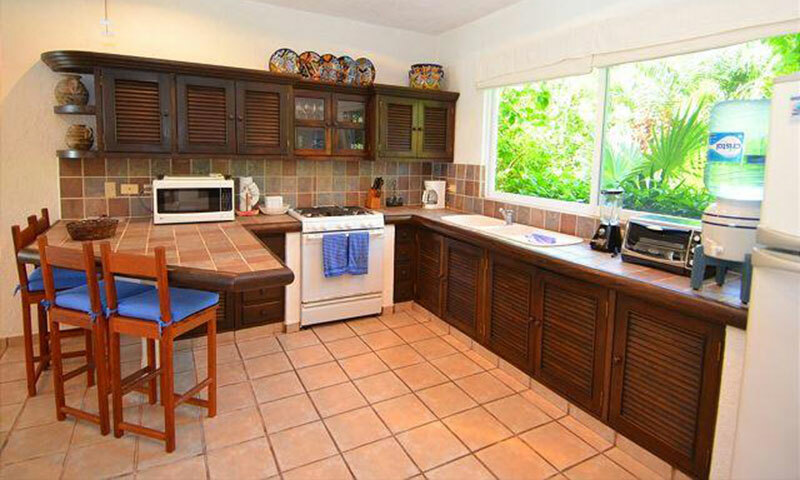 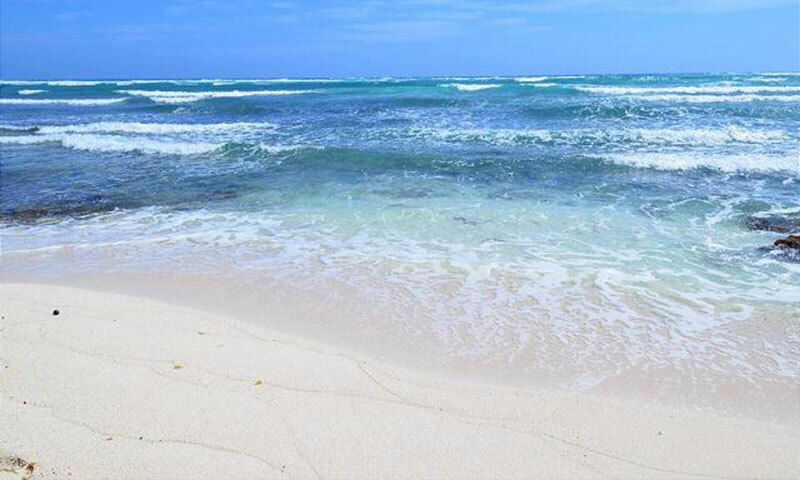 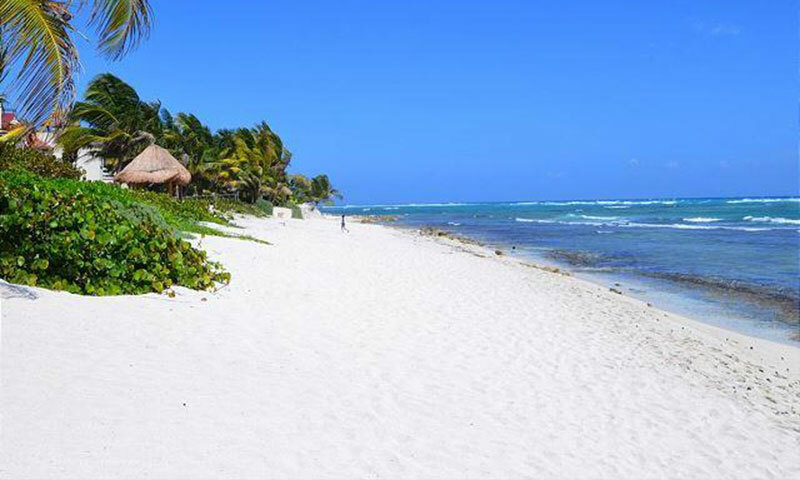 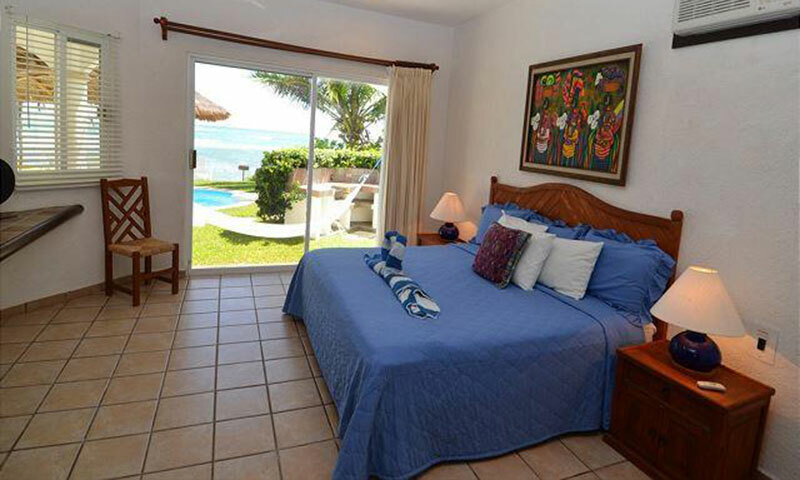 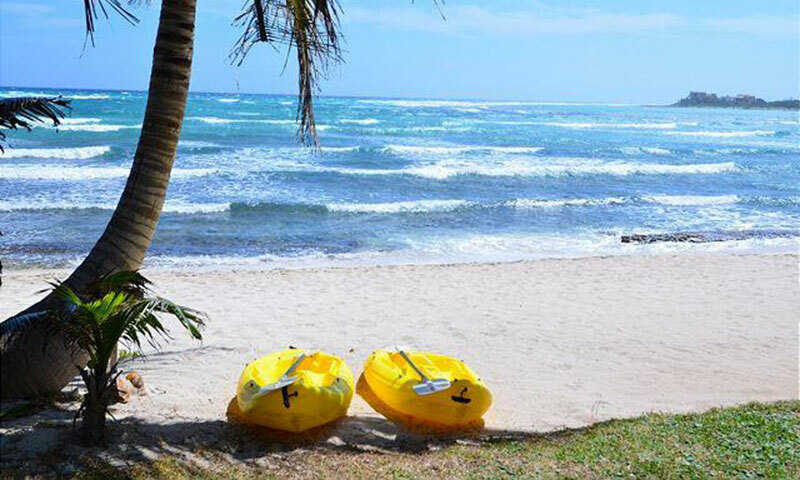 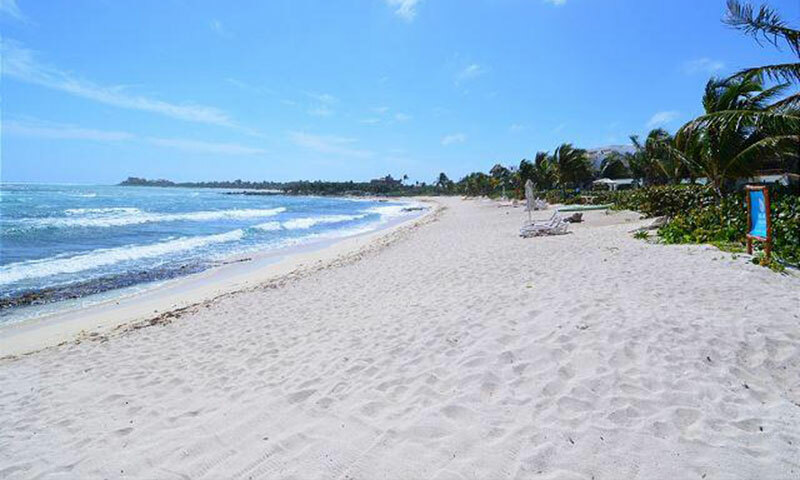 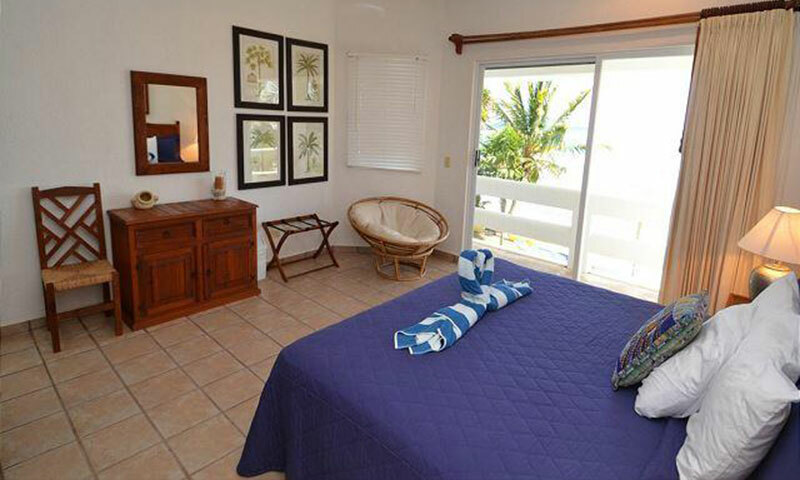 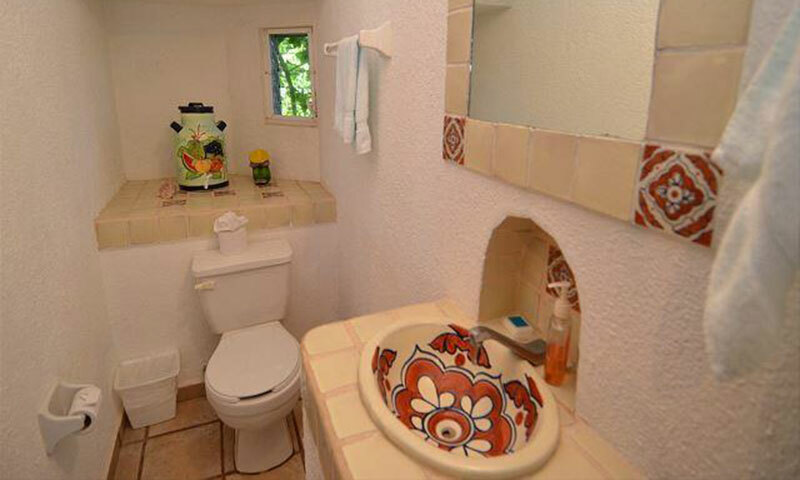 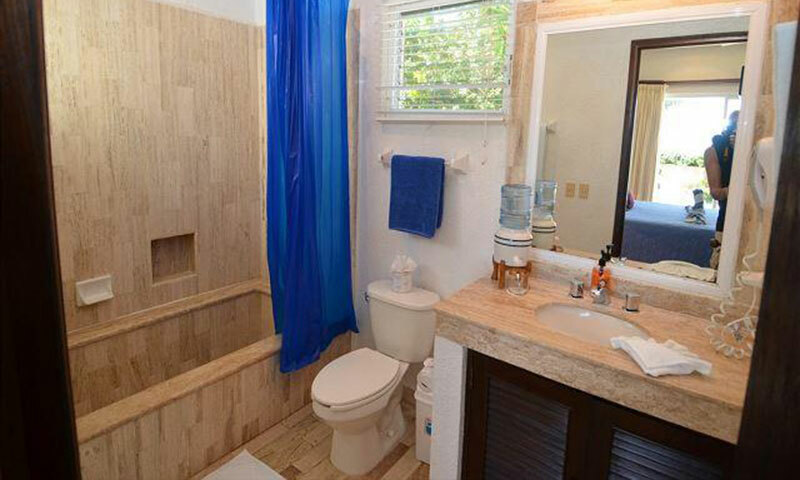 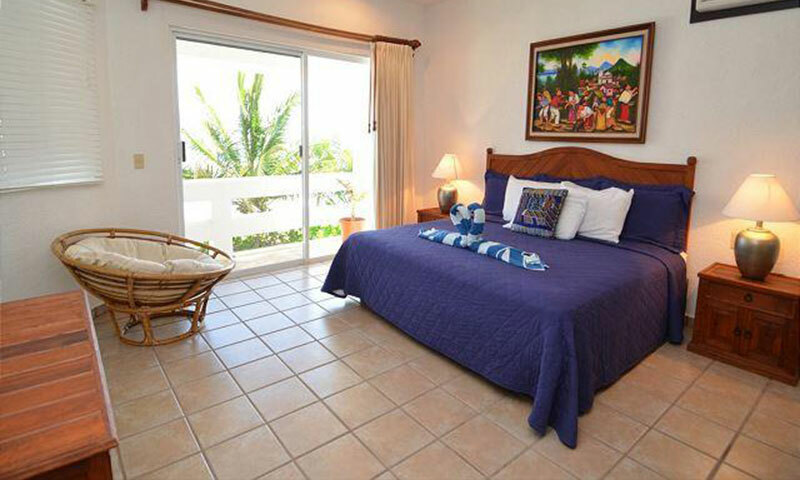 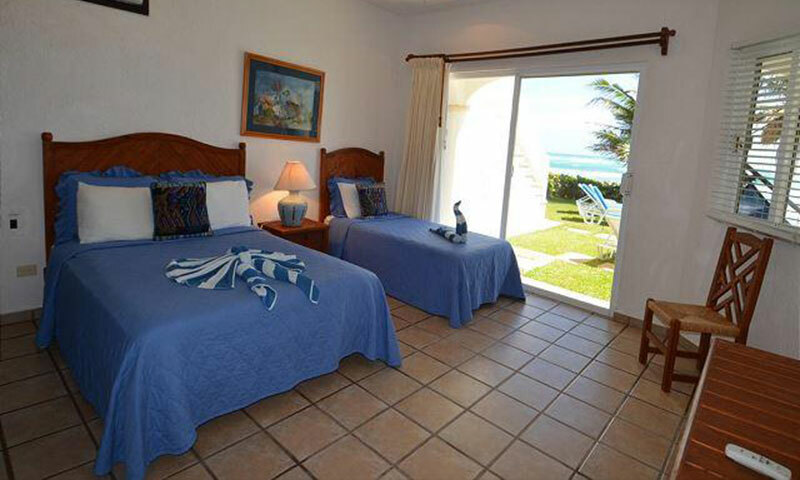 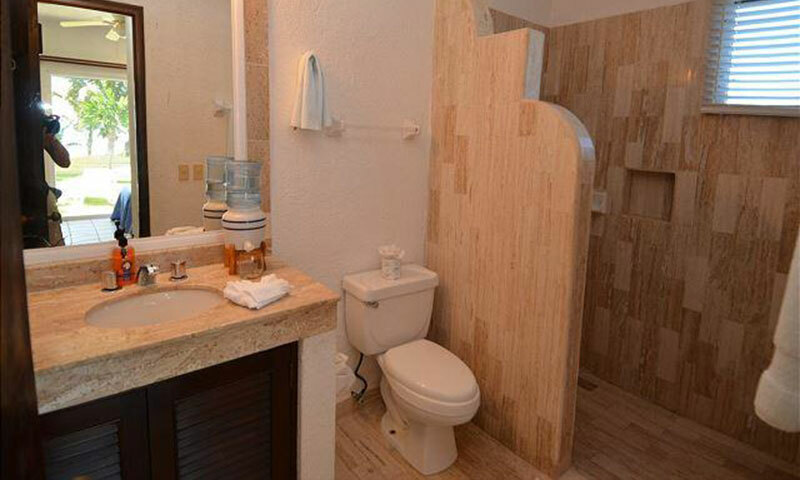 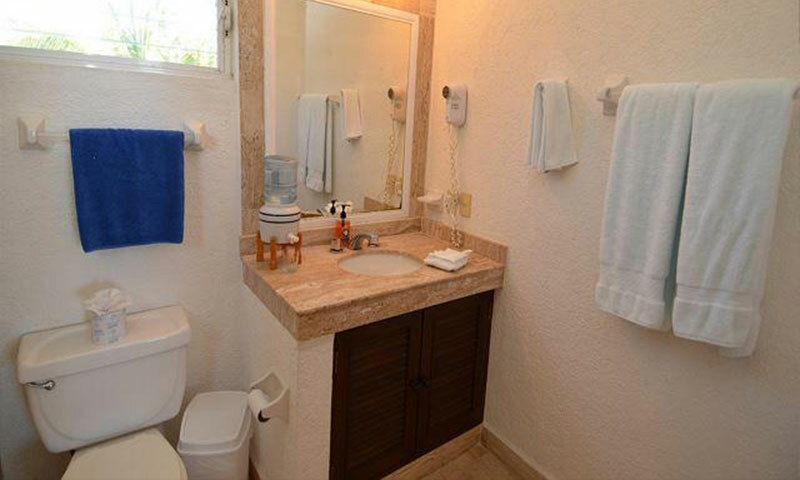 Palmeras has lots and lots of amenities - absolutely everything you need for a terrific vacation in a tropical paradise! 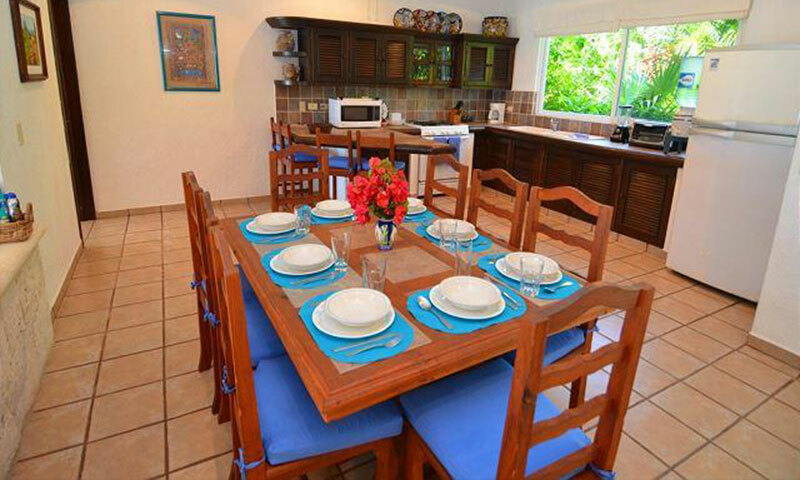 Rates are based on base number of 8 guests.